Fresh produce from agricultural land generally contains a lot of dirt/dust. However, this is not the only aspect affecting the safety of the product for human consumption. Irrigation forms part of the agricultural food production process. After all, plants need water in order to grow. The source of the water in many cases form part of the safety equation. Pesticides and other forms of infestation control could leave harmful residues, which could affect the end consumer. From the farm to the market a whole new level of concern arises as food handlers do not always understand the impact they may have on the end consumer. So how do we address these issues? Irrigation water has raised many health concerns over the years. Especially as many sources are from rivers, lakes and dams. Rivers could be affected upstream by rural communities or even animals along the riverbeds. E.coli levels therefore need to be tested regularly by area municipality and water treated accordingly. How would the farmer know? This is where the municipality and farmers should create an open communication policy and work together to bridge this gap, whereby water is treated before being used for crop irrigation. Treatment of crops against pests and infestation must have active involvement from the suppliers of the variety being produced (by the farmer) as well as the company the produce will be delivered to. 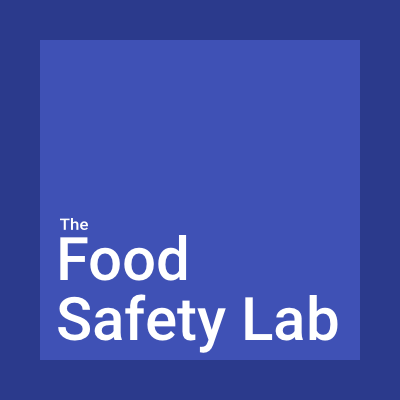 Legislation as well as all key stakeholders in the supply chain must take ownership of their responsibility to deliver safe food to the end consumer. In most cases the current practices have proven effective. The alternative would be organic farming practices. This would be great in an ideal world where we did not face having to feed billions of people and where many live in poverty. The reality we face is that of a world that is over populated and many countries struggle to feed their citizens. But organic vs mass production is a topic for another day. So, the produce has left the farm. Now we reach the aspect of food handlers. Most produce undergoes a preparation process prior to retail delivery and then consumption by the consumer. This is what many food handlers rely on. It is all good wearing gloves when handling the food but where do those gloves go during each handler’s shift? And what about those whom have an illness or fever? Many food handlers do not take this into consideration or have not been adequately trained and may work while sick. It is therefore imperative for all managing or supervising staff to educate their personnel about the consequences of their actions. Not all products are further prepared before consumption. Not everyone has the means to do so. And products we generally consider to be safe before eating, such as vegetables, could just as easily be consumed in the “raw” (or unprocessed) form. As much as we educate people who work in the different parts of the supply chain, a lot less education reaches the consumer. Media plays a major role in the misconceptions some of the consumers have. We do not really find the food industry educating the consumers and I do believe that this is the main reason that we, as food producers/manufacturers/handlers, are perceived by some of them to be the people providing them with food poisoning. Education starts at the beginning of the chain but we often forget that it should end with the consumer, those whom we intend to consume the product. Without following through to the end, the challenges faced most often will be the ones that could have been avoided. Resources which could have been used more effectively elsewhere.